Sadly, between a terrible cold that has left me wanting to do nothing for three weeks, and a debilitating addiction to Story of Seasons for the 3DS, there hasn’t been much crafting happening in the last month. Luckily, I was able to spend three days last week at the Creativ Festival in Toronto, Canada, which was a great way to get the crafty juices flowing again. 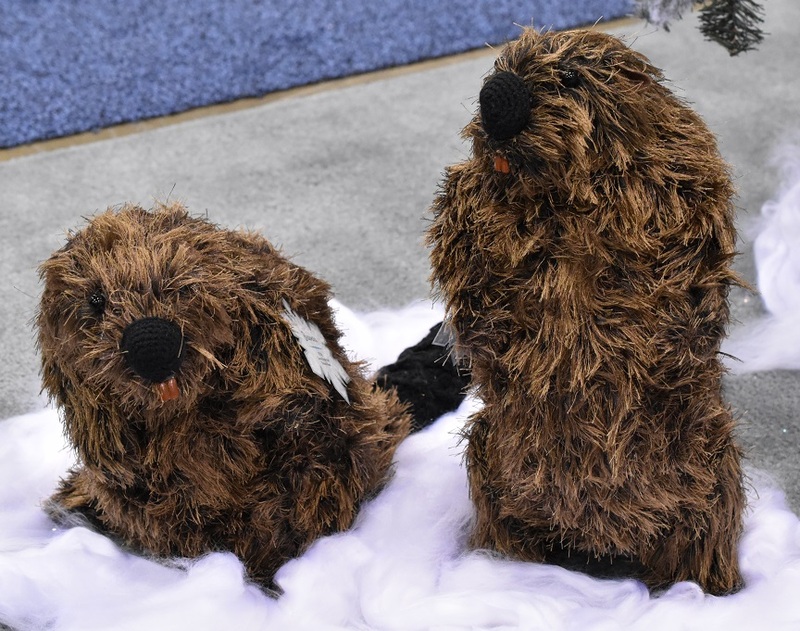 The festival featured five days of hands on workshops and lectures, as well as a three day exhibit hall packed full of craft vendors. The workshops were definitely the highlight for me as I attended a wide range of classes on a number of different techniques, including chainmaille, crochet, needlework, and jewellery making. (More to come on all of these later!). For now, here are a few pictures of my favourite parts of the exhibit hall. 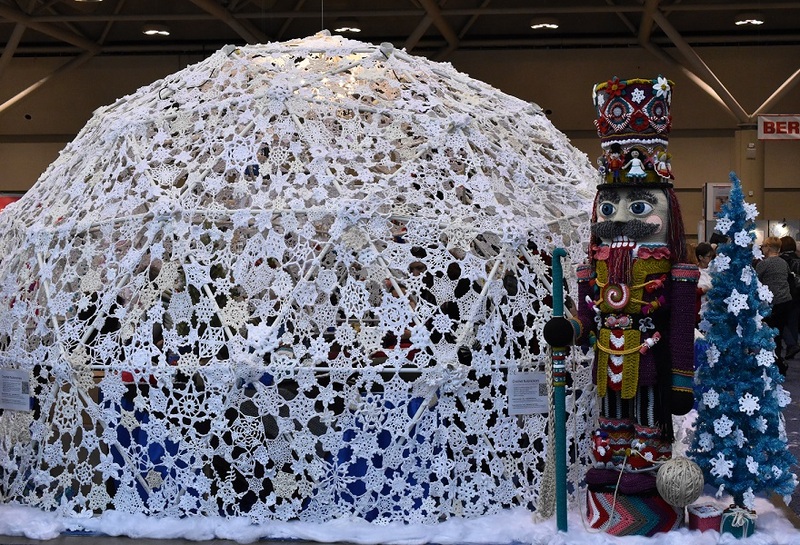 All of the Crochet Crowd’s workshops were held inside the igloo, which was a really neat idea, and gives you some idea of the scale, since it was large enough to easily accommodate chairs for 10-15 people. 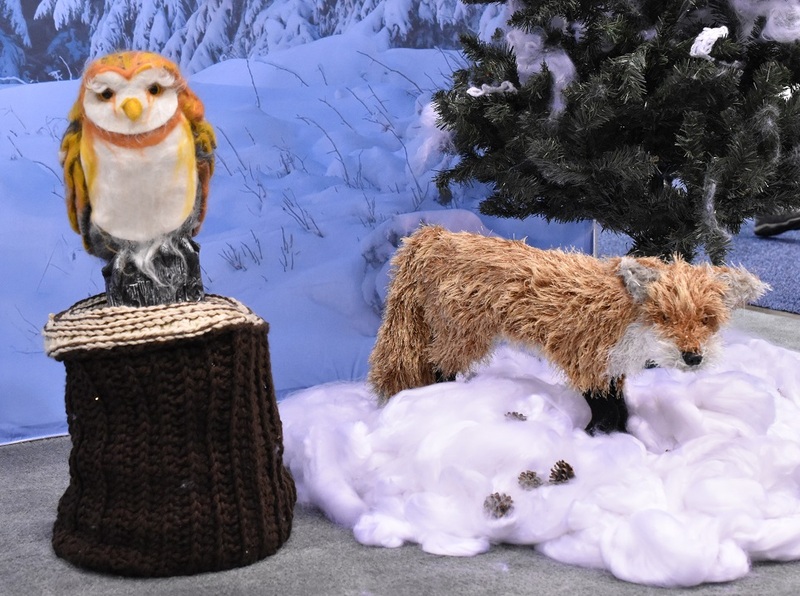 Yarnspirations showed off its incredible Narnia-themed display, Yarnia, which featured a large number of creatures and characters from the Narnia world. My favourites were the small woodland creatures, who contain a ton of detail and show off a wide range of techniques. 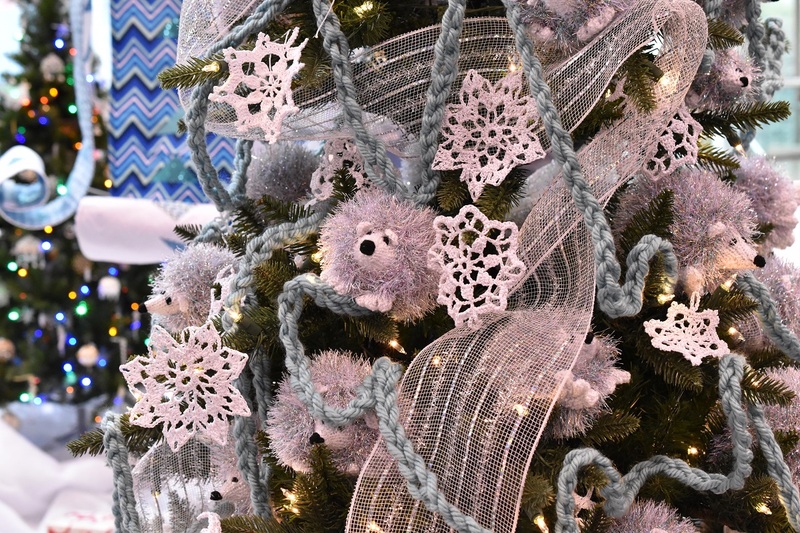 The last thing that caught my eye was a Christmas tree covered in hedgehogs. 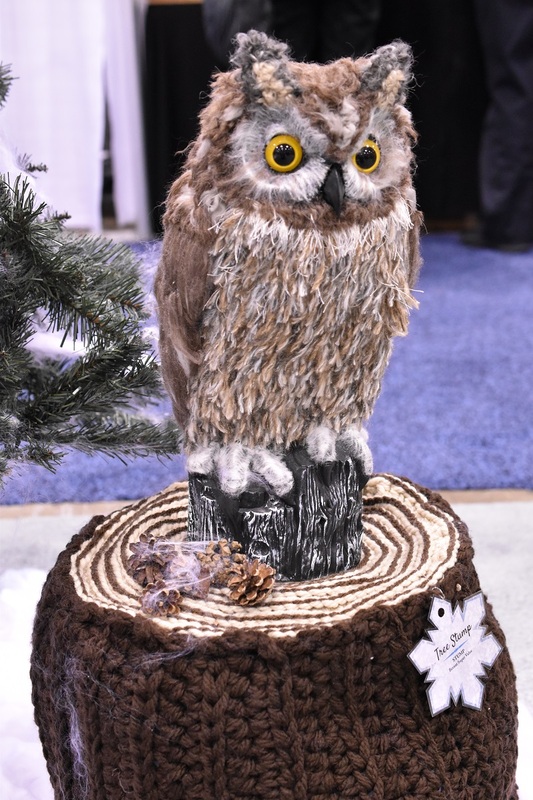 I didn’t catch who made it, but it was part of a competition where exhibitors were asked to decorate Christmas trees and attendees were able to vote on their favourite. I absolutely must have a tree like this. I best get working on the hedgehogs! What amazing creations you have captured. Can’t believe I was unaware of this festival until you discovered it. Do I anticipate a yearly trip for you?